Welcome to Ventilation USA, your one stop shop for all of your Industrial and Commercial Ventilation System needs. 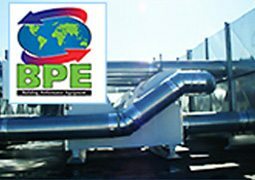 We specialize in all aspects of Commercial Ventilation applications designed to meet strict air quality standards, while working within the existing infrastructure. These 3 products come in multiple variations and sizes. 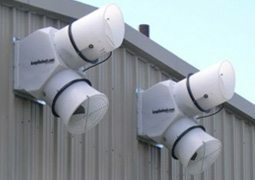 They each have different strengths and applications in getting that fresh air inside your facility. A full heat exchange system can save thousands of dollars in heating and cooling expenses when keeping the temperature is important. If you just need to keep your employees safe by bringing in fresh outside air to ventilate then a non-heat exchanger can be very affordable and cost-effective. Is your facility in need of general ventilation? Do you have exhaust fans at the ceiling or upper walls wasting lots of energy? If you were frustrated with this winter’s heating bills, start planning now for saving energy next winter. Our Keep The Heat system is helping business owners save money and bring in fresh outdoor air. 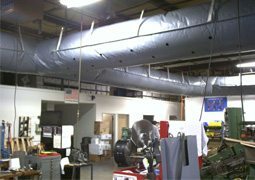 We can create the perfect fabric ducting to deliver your air in any building. 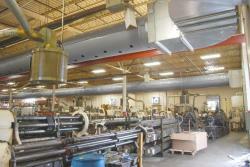 Fabric ducting deploys fast and is very cost effective regardless of your building’ size. We offer free estimates on new installations. Air-to-air energy recovery generally refers to the process of recovering energy and/or moisture from an air stream at a high temperature or humidity to an air stream at low temperature or humidity This process has gained significant importance in the light of maintaining acceptable indoor air quality while at the same time maintaining low energy costs and reducing the overall energy consumption. Not only do we carry the best air exchange products, we also provide value added services of creating your perfect ventilation solution. Just getting the fresh air into a building is the first step, delivering to the places you need it is the next. We can design and install nearly any configuration and solution to meet your project budget. VentilationUSA LLC designs solutions for commercial ventilation issues including air make-up systems, air to air heat exchangers, heat recovery systems, destratification fans, air filtration, air de-stratification, air rotation, dust collection, industrial ventilation systems, shop ventilation, shop ventilation systems and includes complete installation. Some applications are the removal of welding smoke, humidity, diesel smoke, carbon monoxide, air filtration, smoke, haze, negative air pressure, stale air, ammonia NH3 & other fumes without losing heat.